The Vue sight features a fully cnc machined 6061t aluminum lightweight design, precision pins, bright ultra protected fiber optics with a rheostat light and level included. 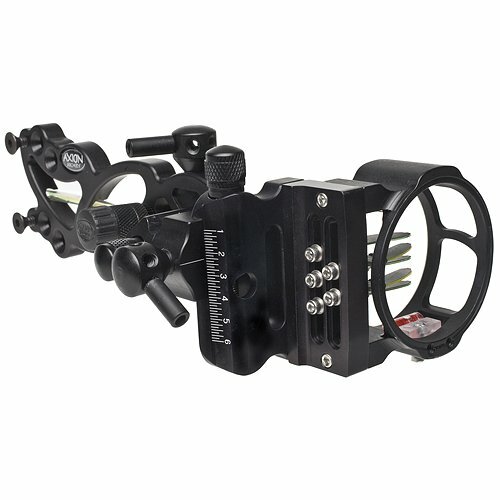 Rock solid lock down windage and elevation with laser engraved reference marks for sighting in your bow. All of this in a sight that is sure to deliver on that hunt of a lifetime. The Vue is machined from 6061-T aluminum lightweight design at 7.5oz. 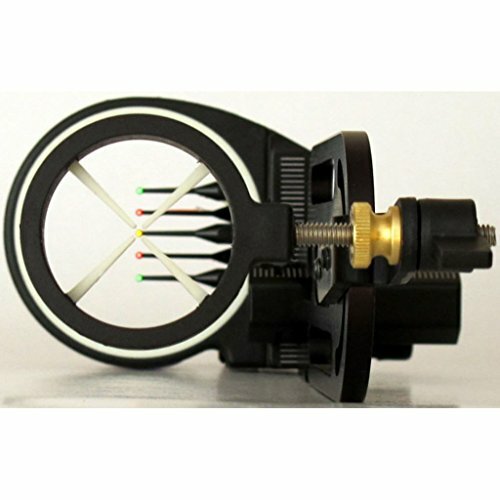 and comes standard with a 2 aperture with glow ring for easy target sighting in low light, laser etched adjustment lines.019 fiber pins, staggered mounting holes, easy windage and elevation adjustments. It also comes with rheostat blue light and red sight level. 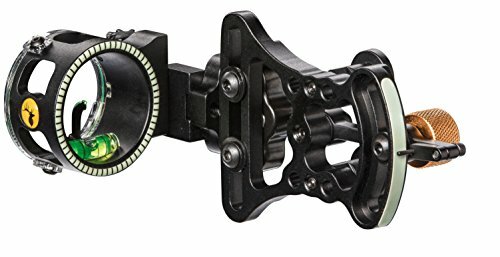 Sight bracket is reversible right or left hand". The PSE Aries has three .029 high quality fiber optic pins, all metal parts, Indigo UV light, phosphorescent glo ring. Works equally well for left and right hand archers. The color is Mossy Oak Break-Up Infinity. Cobra Venom G3 w/Light 3 Pin Sight Ultra .029 inch Right Hand, Black Compact all-metal sight body & extension, precision-machined dovetail windage and elevation, (3) Ultra TKO fiber optic pins dual angled tracks for zero gap pin spacing on a single plane, black/round sight guard with glo-orange ring, laser etched yardage scales for windage & elevation, bubble-in bubble level, right hand only, 3-pin/.029 inch;/black. Easy change pins, laser etched, tool-less micro design, ultra-fine click adjustment for wind age & elevation, staggered mounting holes for more adjustability, extra-long protected fiber optics, precision pin alignment, includes sight & level, 2" pin guard (inside measurement), RH/LH adaptable, CNC machined. 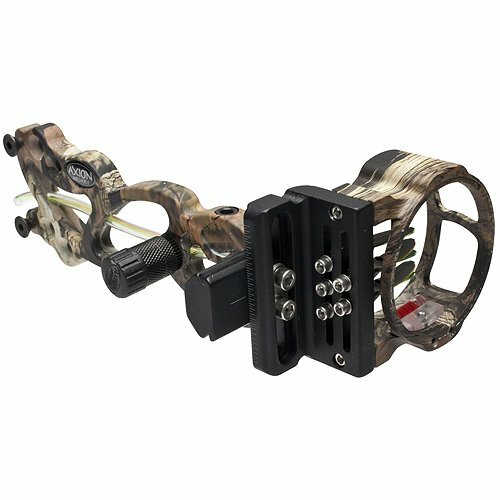 The Eclipse combines the Magnum rear sight with a Tru Glo Tru-Site Extreme front sight together on one mounting bracket. 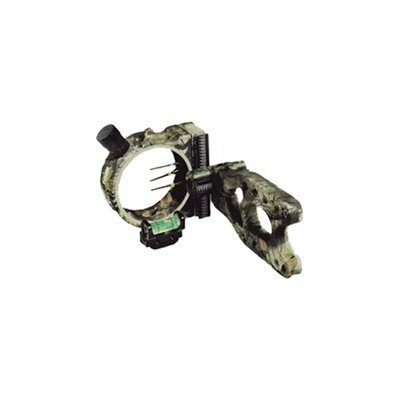 The front sight comes with three Tru Glo fiber optic sight pins in red, green, yellow with .029 fibers. Rear sight features a glow in the dark shooters ring and crosshairs for ease of aligning the two sights. .
Cobra Venom G3 5 Pin Sight Ultra .019 inch Right Hand, Black Compact all-metal sight body & extension, precision-machined dovetail windage and elevation, (5) Ultra TKO fiber optic pins, rheostat light included, dual angled tracks for zero gap pin spacing on a single plane, black/round sight guard with glo-orange ring, laser etched yardage scales for windage & elevation, bubble-in bubble level, right hand only, 5-pin/.019 inch /black. 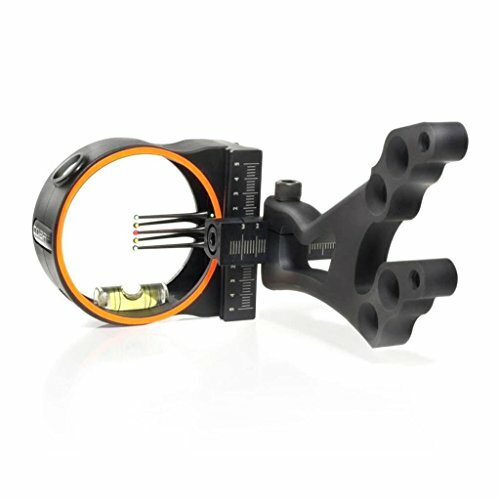 The Cobra Smoke 5 Pin Bow Sight has 5 fully protected, bright, .019-Inch fiber optic pins. The sight is lightweight at only 4.8 ounces. 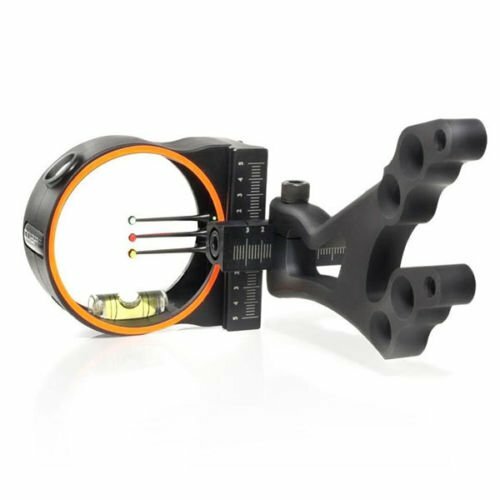 The sight has a full 2-Inch composite sight guard with a bright orange glo-ring for quick target acquisition even in low light conditions. 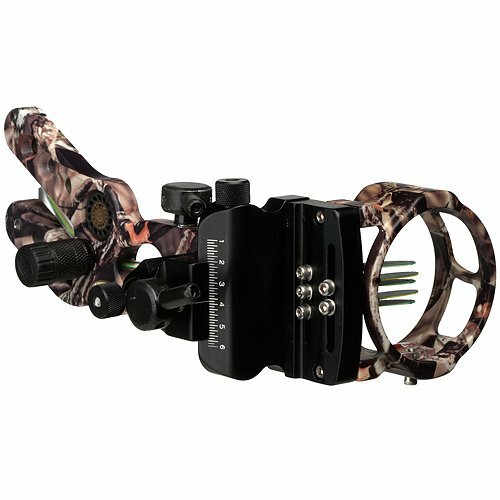 The sight is also compatible with a light module that is not included. It also has a built in bubble level for more accuracy. This sight is a right-handed model. 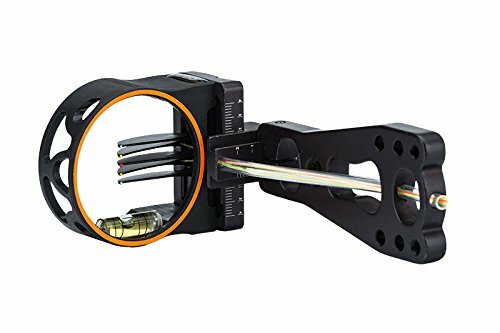 Looking for more Fiber Glo Pin Sights similar ideas? Try to explore these searches: Home Interior Decor, Miami Heat Championship, and Arno Leather. 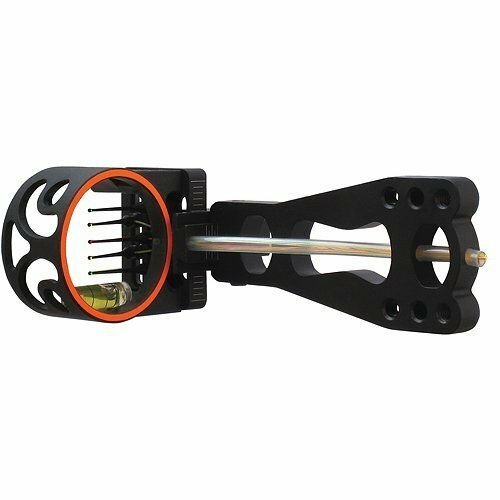 Shopwion.com is the smartest way for comparison shopping: compare prices from most trusted leading online stores for best Fiber Glo Pin Sights, 16g Captive Ring, Extended Capacity Maintenance Kit Work, Glo Sights Fiber Pin . Don't miss this Fiber Glo Pin Sights today, April 20, 2019 deals, updated daily.